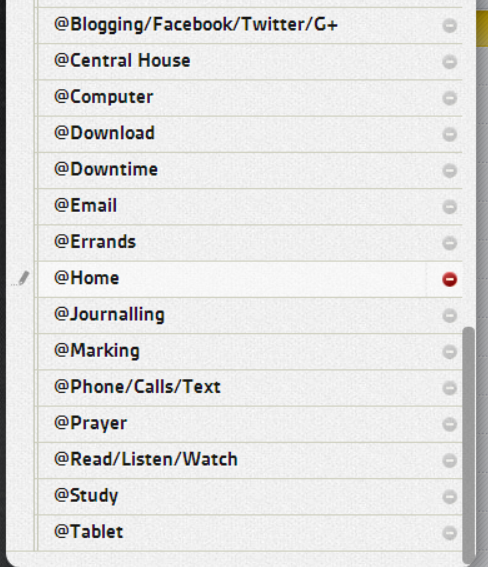 Thinking through how I set up my GTD contexts. I have a whole bunch of Agenda's that are for both meetings and individual people I meet with formally and informally. I then have the following. I am wondering if it is working for me. I had a chat with a bit of a GTD guru friend of mine who sticks to 8 contexts only. Errands, Home, Office, People, Computer, Phone, Waiting and Agenda. I know most of you will probably say something like "there's no right or wrong" or "whatever works for you" but I would be interested in how others structure their contexts and how it works for them.